Home Rants The Mind Game Album: A Hoax Or An Actual Mind Game? The Mind Game Album: A Hoax Or An Actual Mind Game? Music lovers in Ghana loved the beautiful collaboration between Sarkodie and Jayso. But they lied to us about releasing the biggest and most anticipated album yet; the mind game. Or did they live up to the expectation of releasing an actual mind game? So usually i check out YouTube videos and pics on Facebook. Its been almost an hour now and all I’m doing is watching Worldstar fights, vine compilations and music videos. But I came across this old video, one of my all time favorites; pizza and burger. Jayso and Sarkodie is one magical duo, that’s for certain. I love the chemistry, raps, video concept and how much fun they had. After the video, my mind just went white with one question, WHAT HAPPENED TO THE MIND GAME ALBUM? So for y’all who don’t know what I’m talking about, The Mind Game was supposed to be the best thing that ever happened to GH music. 2 iconic artists in their prime, coming together to draw one huge masterpiece on wax. 4 major buzz-worthy singles and the whole concept vanished. No one heard of the album again. Was the album a lie? Were they complacent or lazy to finish what they started? Or was is an actual mind game? So according to Wikipedia, a mind game is “a largely conscious struggle for psychological one-upmanship, often employing passive–aggressive behavior to specifically demoralize or dis-empower the thinking subject, making the aggressor look superior”. Here in this case, a manipulative strategy was used to dis-empower our thoughts into making us anticipate and yearn for something more: thus making them (Jayso and Sark) look superior. 2012/13 was the meteoric rise of urban music in Ghana. The azonto craze placed us on the map. Videos were being made all over the world and the best way to penetrate the commercial market was to succumb to azonto. 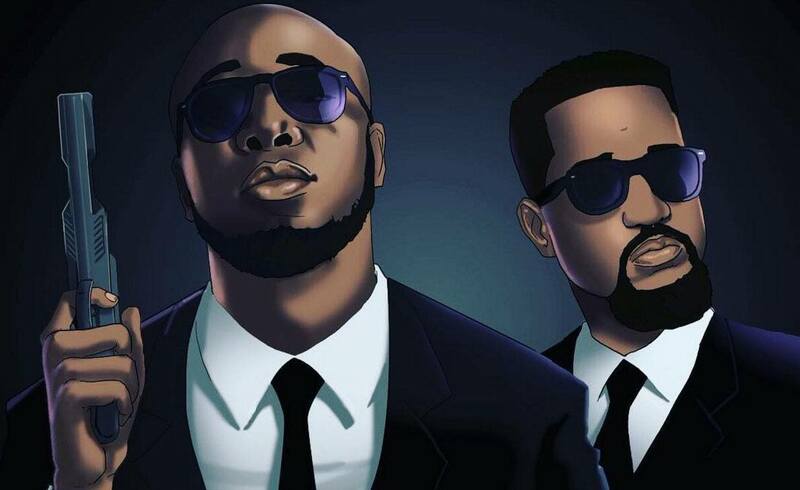 It gave Sark ” the artist of the year” award, gave EL “the album of the year”, turned Gasmilla into the azonto king and made Guru a commercial household name. So basically it was extremely difficult to make it with any genre. But Jayso and Sark made it a possibility. Early 2013, Pizza & Burger was released and it became an anthem for everyone. There wasn’t any club,party or major event that wouldn’t add this song to their playlist. It was premiered on 106 & Park (BET) and it got nominated for a channel O award. Africa was buzzing with the infectious song but that was the beginning for the duo. The duo made an announcement that there was going to be a collaborative album and it was meant to change the game while giving fans good music. 13th April, 2013 was the date and like many acts will put it, ” it was postponed due to label differences”. Ghana was willing to forgive them and they made it up to us by giving us another strong hip hop banger with a different feel. Let Them Know was released and unlike the normal videos being released, an animated short film was given to us. Let them know was about fighting the warriors of their nemesis who teleported them to a different era with a time capsule. Weird huh? But the video didn’t disappoint. The story line, humor base and the use of rap as a weapon by Sarkodie gave the video massive heat and till this day, I haven’t seen an animated video from Africa this good. The duo continued on their streak by releasing I’m in love with your girlfriend featuring Efya. The video was also a short movie about love and diamonds basically. But trust me it was action packed and it had Sark playing the last killer. The duo kept the whole GH music community on their toes, anxiously waiting for the album. Even if the price was high, my susu box wouldn’t fail me this time. 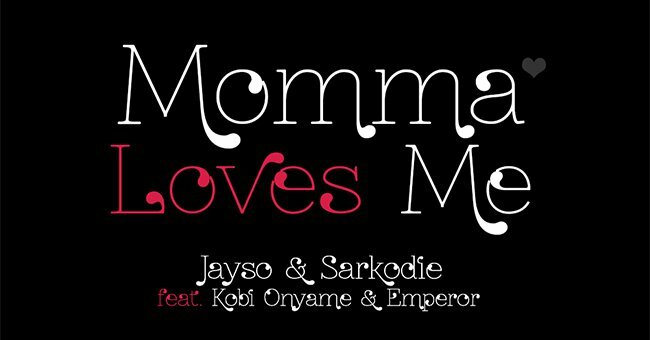 Then they finally released My Momma Loves Me featuring Kobi Onyame and an underground, high school rapper who was picked to be an honorary feature on the album called Emperor. My mind was made up, The Mind Game album would be the best rap album of the decade. It would be the only album to overthrow “Pae Mu Ka” and “Maka Maka”. But sadly nothing happened!!!!! Months passed by and nothing was heard. No album, no single, no video and no more buzz. Sarkodie went back to his board, promoted his Rapperholic album and prepped for his double disc album, ” Sarkology” and he reached his major peak by winning a BET award, releasing his classic and most critical album to date, “Mary and The Highest” while running his imprint, Sarkcess Music. Jayso continued producing classics, running his label, Skillions Records and in 2015 he released his debut album, Making Tasha Proud which had an awesome cover art. Both artists continued on their lives, forgetting one thing, THEY LEFT THE FANS HANGING. I remember when I posted an article on “The Hero Who Broke My Heart”, I made mention of Sarkodie lying to us about a mixtape. Well this is much painful. 4 songs released, anticipation soaring and hopes high for a major classic just faded away. And the ones that felt it the hardest were the die-hard fans. When the azonto was in its prime, y’all gave us hope of releasing good and classic music. The kind of music that would liberate our hearts and soothe our soul. But it faded away. Was it a hoax or a trick? ?